Balasubrahmaniyan, voice, is an emerging master of Karnatak singing. He began music lessons with his father, D. Balraj, and subsequently studied under several teachers, including T. Brinda and T. Viswanathan. Balasubrahmaniyan has collected numerous first-place prizes for vocal music from a range of musical organizations. These include “Tamil Isaipannar,” from the Tamil Isai Mandram Society (1997) and the “Yuvakala Bharati” award from the Bharat Kalachar Cultural Center (2000). He is a regular performer on All India Radio and Doordarshan television, and for the past three years has been invited to perform solo concerts at the St. Thyagaraja Aradhana music festival in Cleveland, Ohio. He holds a Ph.D. in Music from the University of Madras. He is Adjunct Assistant Professor in Music at Wesleyan University in Middletown, Connecticut. David Nelson, mridangam, has been performing and teaching South Indian drumming since 1975. From his principal teacher, the renowned T. Ranganathan, he learned to accompany a wide range of styles, including Bharata Natyam, South India’s classical dance. He has a Ph.D. in Ethnomusicology from Wesleyan University, where he is Adjunct Assistant Professor in South Indian drumming. He has accompanied well-known artists throughout the United States, Europe, India, and China. He has also written extensively on South Indian drumming, including a major article in the Garland Encyclopedia of World Music. His latest book, Solkattu Manual: an Introduction to the Rhythmic Language of South Indian Music, was published by Wesleyan University Press in 2008. In 2013 he was awarded the title Kala Seva Mani at the Cleveland Thyagaraja Festival. 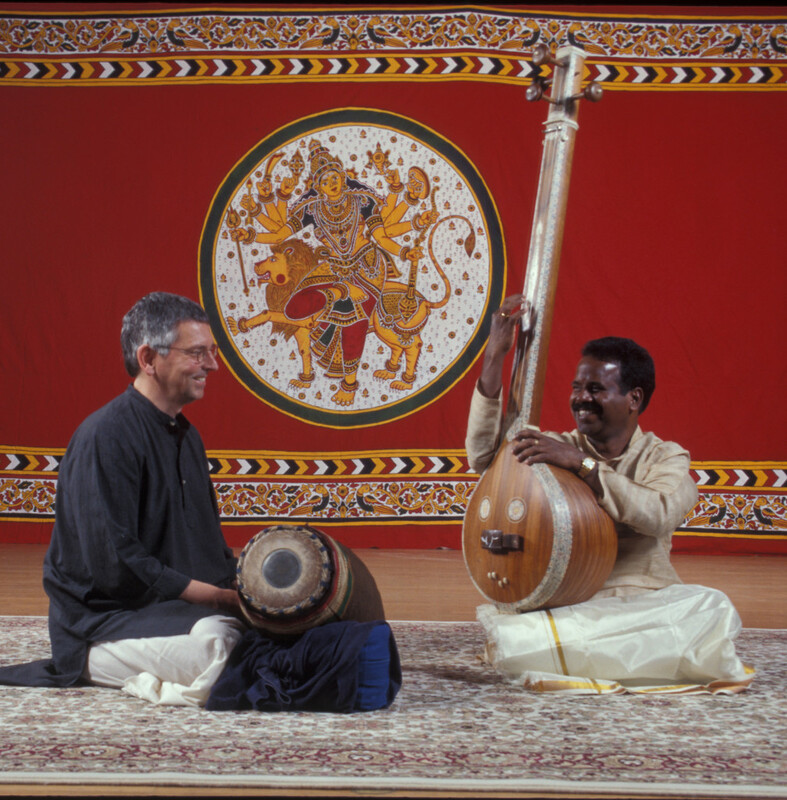 Balu and David have worked extensively with recordings made by their principal teachers T. Brinda and T. Viswanathan (Balu) and T. Ranganathan (David). 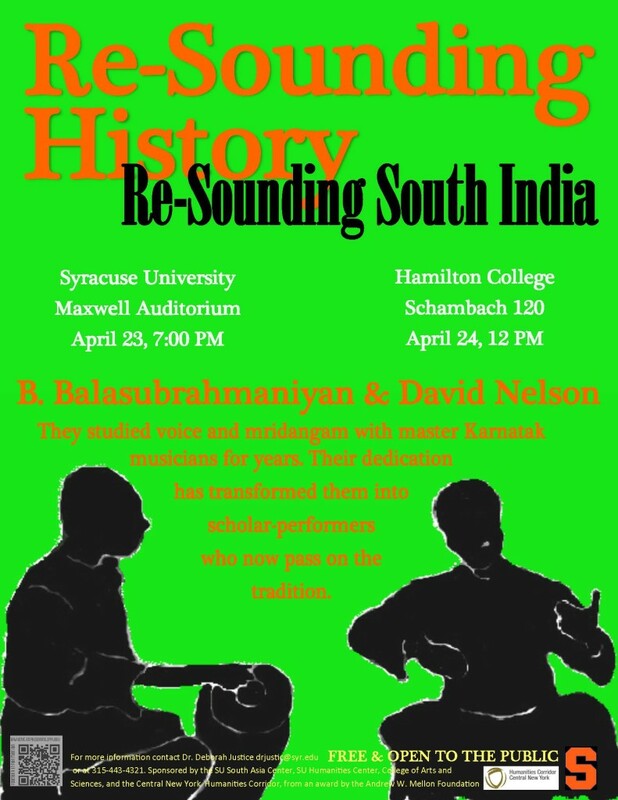 At a recent Navaratri concert at Wesleyan they featured a performance of a ragam-tanam-pallavi first performed at Wesleyan by Viswanathan and Ranganathan in 1972. Their performances are deeply influenced by their teachers’ example as artist and teachers.